SolarLab XM is part of Solartron Analytical’s new Apps-XM range, a series of potentiostats designed for specific applications. 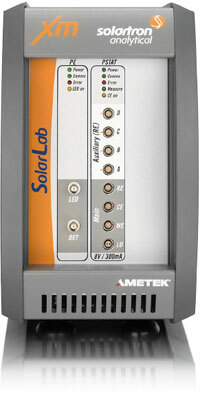 The SolarLab XM is designed specifically for solar cells and photovoltaics research. The system includes a reference grade potentiostat, frequency response analyser (FRA) and PhotoEchem module for complete characterization of a range of Solar/PV cells, including Perovskite and Dye Sensitised Solar Cells (DSSC). It can also be used for the development of visible spectrum photo-electrochemical systems such as Iron-Oxide photo-splitting of water. 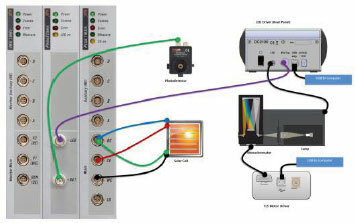 The SolarLab is very easy to use; data can be analysed with a single click of the mouse. Experienced users can set up new experiments using a powerful step sequencer. All of these electrochemical test methods can be integrated with the optical bench for entirely new techniques. your cell is connected correctly before the test starts. 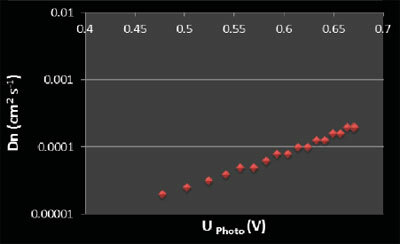 The fast Si photodetector has seven gain stages for excellent measurement resolution in very low level intensity studies. The 0.01 neutral density filter extends the light controlled intensity range over 6 decades. 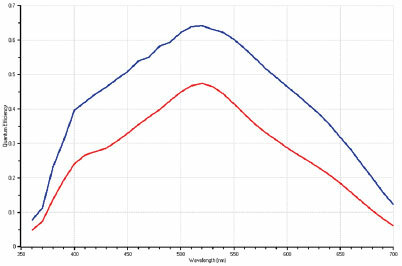 A 50:50 beam splitter and reference detector are used to compare the response of the cell under test versus the reference. This eliminates errors caused by phase shift and changes in light magnitude. The SolarLab was produced in conjunction with Professor Laurie Peter of the University of Bath, using his technique first developed in the late 1980s. 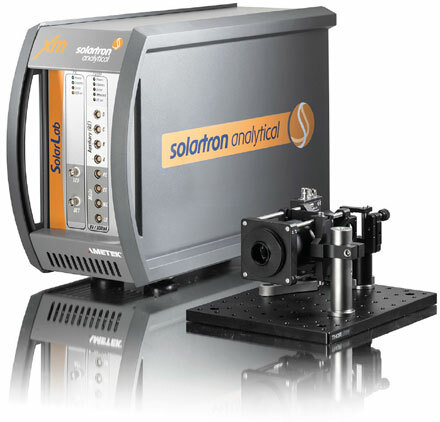 Each optical bench is equipped with a 10 MHz fast Si photodetector, which was developed specifically for Solartron’s XM series. The NIST traceable sensor inside each detector comes with a dedicated factory calibration file. Measurements in units of power per unit area can be referenced with full confidence in the accuracy and repeatability of the results. An IPCE (Incident Photon to Current Efficiency) add-on module is available for measuring the quantum efficiency of photovoltaic materials. FRA technniques have numerous advantages over traditional light chopper methods. These include superior built-in noise and bias rejection, so white bias measurements for non-linear cells can be included as standard functionality rather than as an expensive add-on.